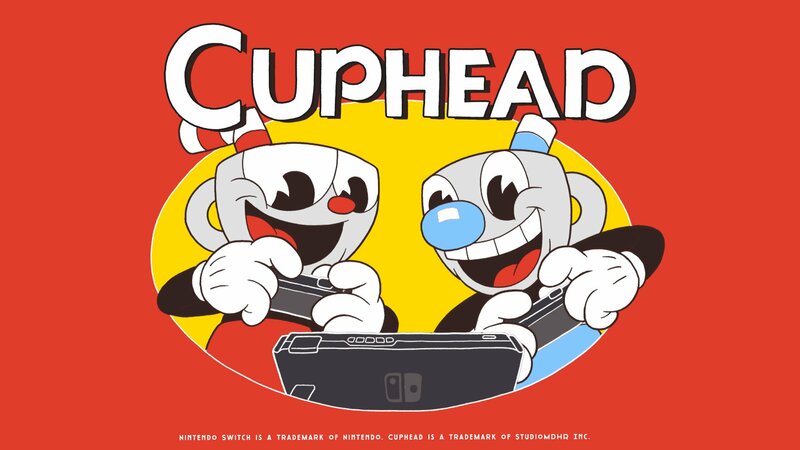 One of the major highlights of yesterday's Nindies Showcase presentation was the announcement that Cuphead would be making the jump to Nintendo Switch. Once a Microsoft exclusive, it was a pretty surprising reveal to say the least. The good news doesn't stop there, though; we already know that the Switch version of the game will allow you to unlock Xbox achievements, and a physical version is coming sometime after its digital release with DLC included. If you're feeling the hype for this one, you'll probably want to check out the video below. Uploaded by the folks at IGN, the video gives us a good look at three levels being completed on the Nintendo Switch version for five minutes of footage in total. The whole thing looks like it's running beautifully. Now you've had some time to gather your thoughts, how are you feeling about the Cuphead news? Will you be playing it for the first time on Switch? Have you already tried it on Xbox? Share your thoughts with us below. @Bunkerneath No there are proper platforming levels too. It's just for some reason this play though is focused on bosses. Cuphead is such a Nintendo game in its overall vibe. Miyamoto clearly loves Fleischer cartoons (DK was intended to be a Popeye game). From the developers love for all the things Nintendo, this really feels like the game is coming home. @FragRed Probably just to show the torment and torture you will experience when playing. @Bunkerneath There are platform levels too. But the focus of the game is the boss battles. @Bunkerneath It's basically Punchout!!! All about learning timing, patterns, and rhythm. Like Punchout!!! everyone you fight is wildly inventive with a ton of personality. A welcome addition to the Switch library! Be warned, it's a fairly tough game; thankfully one that doesn't cause too much frustration, but one that makes you go 'OK, just one more go' and 8 more goes later you crack it. I'd say it's probably a 30 / 70 split between run and gun levels and boss fights. @Bunkerneath It has platform section but they mainly function as padding between the boss battles, you could say they are the... main draw. But if you are not into classic cartoons or arcade games I guess this would not be your cup of tea. Yes NL that’s all I can think of. @Bunkerneath The game was actually designed as a boss rush. It wasn't until later on that Studio MDHR added in traditional platforming levels at the behest of fans. Why bother showing this video? Looks no different from xbox version. How do we know it's even the Switch version? It's a 2D game, of course it runs well. This is not even a 60 fps game by design, even a phone can run this game. @nintendolie A lot of people were expecting poor performance for some reason. This is great news for those who needed piece of mind. @nintendolie 2D does not mean it automatically runs great... There are Many games that run good or bad on various platforms and besides - why be a hater? I know I know, you have a lot of reasons why you think you’re being reasonable. Meanwhile, I’m glad as are many others I see, that this video was shown. i like the look but this game is not for me. Super stoked to finally have Cuphead on my Switch, everything about the game is stunning. Yesterday was QUITE a day! I've heard this game is BRUTALLY HARD and I would be lying if I said I wasn't a little intimidated. I love this game. Completely 100% finished it on Xbox, so does anyone know if the achievements can be unlocked a second time? I'm presuming that it'll just link up my XBL profile and show them as already unlocked, but I'm unsure if the Switch release is a separate SKU with the cheevs re-added. It's not a deal breaker, but it'd be nice to be challenged all over again. @Heavyarms55 nah, it's not that bad. I've never finished Dark Souls 2 or 3, and I'm not one of these gaming masochists by any stretch. Like someone above referenced; it's just patterns. Once you get them down you're fine. It's a really, really great game. The learning curve is progressive as well, and when you start unlocking power ups and perks to give you more of an edge, balance is much easier to achieve. Give it a go. Does anyone else think that a new 2d Mário should have a similar graphic style?? I think it would look awesome!!! Oh baby! I'm gonna try and nab a physical version. If not, I'm going digital. The game is absolutely designed to run at 60 FPS... the animation was done in 24 FPS. Hopefully the game runs at a completely stable 60 FPS in handheld and docked mode... otherwise, Switch players will not have a great experience. According to the devs, it will run 1080/60 docked and 720/60 handheld (as it should)... so as long as it is stable, it will be great. Stopped watching after 1 minute... don't want to spoil it. But Cuphead needs another outing too. I'm up for this original vision, but I'd like to see more of an adventure element to it rather than just boss battles and padding. Cuphead's difficulty is overhyped. It IS hard. There's only like one boss in the whole game I did on my first try. But every boss is designed to be beat in 2 minutes or less, and has at least 3 phases that shouldn't last more than 30 seconds. Cuphead's difficulty is a meme at the expense of certain games journalists. It isn't easy, but it isn't some uniquely challenging game. It's a hard game, like many other hard games. The game overall is not overhyped. It is excellent. A joy to play. I would NOT say that the game has "platformer levels"... it has a few "run & gun" stages, but they are very much shooter stages with platforming elements... unless maybe you are going for Pacifist Clear. That being said... the majority of the game is boss battles, but there are platforming elements within the boss fights, some of the screens scroll, and the bosses evolve as the fight goes on... So I wouldn't say it is a typical "boss rush game". I have never played the game, and I don't intend to.... but I have watched plenty of speedruns (which are amazing) and the game is absolutely beautiful, unique, and wonderfully made. It is, without question, a piece of art that deserves to get to as many people as possible. @BLD this guy, people. Listen up! Never expected this on the Switch and will buy day one. Plus this really opens up the possibility we could get Rare Replay on the Switch and other MS exclusive games..
@AhabSpampurse : well, you just described the Soulsborne series. @Bunkerneath You didn't research much about the game do you, of course it's mostly boss battles but there are some platforming and auto-scrolling levels as well complete with that 80s style cartoon effects and crazily condemn storyline. Also Cuphead's difficulty isn't that hard if you know the patterns of each phase, the only frustration part is that the developers purposely made so you can't see the health bar of these bosses to create the feel of struggling to win but when you do win, the victory is satisfying. It is the one of the most difficult games I played but lots of fun. I heard somewhere that there will be a slightly easier mode setting that Nintendo requested. @Bliquid this is way easier. The absence of a third dimension makes for infinitely less variables for a start, also the instant restart to the fight, no checkpoints being required... That's just my opinion of course. Please don't think I'm being obtuse; I'm well aware that Soulsborne games have patterns but there's a ton more strategy needed in those games. Ranging from character builds to equippable gear. This is way, way more simplified. I've finished DS1 and Bloodborne, and looking forward to Sekiro tomorrow, but I've easily sunk over 100 hours into each of those. Cuphead I completely smashed over a weekend. @Valdney Absolutely! Ever since I saw the box cover of Super Mario Land on the Game Boy back in the 1989 I have dreamed of a Mario game looking exactly like that! One of the best box arts of all-time! I fully admit both loving and sucking completely at this game. I can't even beat the 4th boss. And that's with an XBox Elite controller with the best D-Pad ever. @andrew20 Kind of! In terms of difficulty, then yeh I'd say so. I have never played this Game so it will probably a day one pick up if physical if not physical then Then I will still get it. @AhabSpampurse i get your point, and i wanted to make a point myself in saying that Soulsborne is “victim” to difficulty hype as well, while in truth you just need method, patience and never be greedy. Can’t wait for Sekiro as well. I love the art style but these boss battles are wayyy too long. I don’t like that you get almost no visual feedback that you’re actually doing any damage to them. It’s like they still follow through with their same animation whether you’re hitting them or not and you don’t get any flashing red or anything indicating that you’re actually doing any damage. It’s like you’re a little kid pelting rice at them for two or three minutes with little to no positive feedback until the announcer finally screams “knock out“. You do get a visual clue. They flicker with a white-ish glow when you're doing damage. That's how you can tell that you can only damage the frog's slot machine while it's attacking, because that's the only time it flickers. I'll agree it's kind of subtle, but it's there. Early builds of the game did have a more noticeable red flicker, but I'm glad they changed it because it was more distracting that way. @Jimsbo looking back, I guess you’re right. It just all seems way to subtle. This is probably because there is absolutely no reaction by the boss whether you hit them or not until a phase change or the end of the battle. They seem completely unphased by your attack like you’re not even there. You could say the same I suppose for, like, a Megaman boss battle but at least some attacks would slow them down and the flashing was apparent enough to feel like progress. It's mostly pattern memorization, but there is an element of luck because many of the battles include some variables. Like the Genie boss that begins with one of three different possible attack patterns. Or how much easier any of the "Sugarland Shimmy" sub-bosses are if they come out before the jelly beans start popping up. I'll agree it's the perfect formula for controller-throwing frustration, but it's also the perfect formula for an even sweeter feeling of victory once you get through. It is kind of frustrating that you can barely tell you're scoring hits until you get the "knockout", but I think being surprised by the victory adds to the feeling of relief when you make it. If you had a health bar to monitor there would be even more frustration every time you die when there's just a sliver left. So they wait to show you that after it's over. @holygeez03 "The game is absolutely designed to run at 60 FPS... the animation was done in 24 FPS." If they really wanted to be period accurate then it should have been animated at 12 frames per second. @Eman528 It is subtle. Speaking for myself, I had no problems seeing the feedback when I played the game, so I'd say it's good enough. You can judge for yourself in videos how it works for you or if you can get used to it. It's possible they wanted to minimize the flashing because some people may have photosensitive epilepsy or some other sensitivity to the flashing. And I know Nintendo has worked to minimize that before as well, even removing it from games, so it might be a policy. As for the bosses not reacting, the boss fights in Cuphead most resemble Metal Slug, in my opinion. Other than flashing, the bosses in Metal Slug also don't react and stick to their routines. I love Metal Slug, so that's not an issue to me. I really enjoyed Cuphead and think it works very well. Ultimately, you have to decide for yourself, but it's a game I'd recommend to those who like the type of game that it is. @sdelfin And I’m sure playing it on TV rather than watching it on my tiny phone screen does make a huge difference as well. I probably will give it a whirl because I really do like the art sytle. @FTL exactly. My copy of Stick of Truth on the Xbox 360 would judder occasionally and, as you all know, is merely replicating an episode of South Park. Incidentally, I bought it again on Switch and encountered no such problem. Cuphead appears far too hard for me, but still sorely tempted to pick it up as it looks utterly gorgeous! I'm overjoyed because I really wanted this game but I had no desire to get an Xbox for it...now I don't have to miss out on it!!! It's a good thing you were more patient than I was. I gave in last July because I believed them when they claimed "lifetime exclusive". it's not a complete waste, though, since I kind of wanted Rare Replay as well, but I wouldn't have bought the console just for that. @BLD Cuphead is "old school hard" but not impossible. It caters to the old school gamers and uses the same mentality that games of yesteryear used. 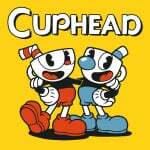 A lot of younger gamers find all old games hard, but for people who have been playing games for decades like myself, Cuphead is challenging but definitely not as hard as everyone seems to think. Also it definitely is a great game. The aesthetic is what hooked me but I was happy to find the game itself was just as fantastic. @Heavyarms55 "I've heard this game is BRUTALLY HARD and I would be lying if I said I wasn't a little intimidated." Put this directly into my veins. @The_Mysteron "In my experience, this generation's 'brutally hard' is a retro game's standard difficulty." - naw, I don't buy that for a millisecond. A lot of what made many retro games hard were artificial difficulty aspects and poor design choices, like limited lives and continues. Of course a game becomes way harder if dying X number of times forces you to start completely over. Or you have games like Silver Surfer which are just stupidly designed and everything kills you. Bad or obsolete game design is not true difficulty. Dark Souls is hard, but Silver Surfer and TNMT(NES) were poorly designed. And any game that forces you to start over completely with no save function is obsolete. @Bunkerneath I agree, not a very good representation. I'm glad it's not all boss battles but platforming action would have been nice to see here. Or a variation at least.